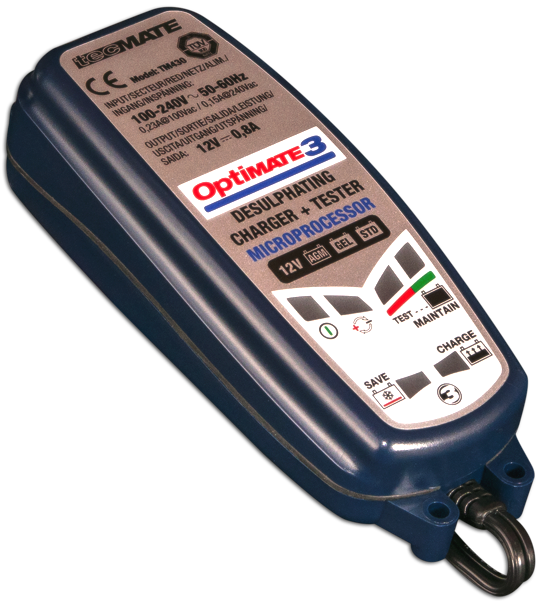 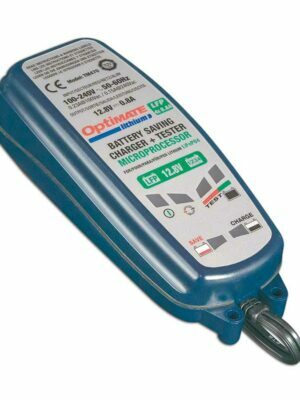 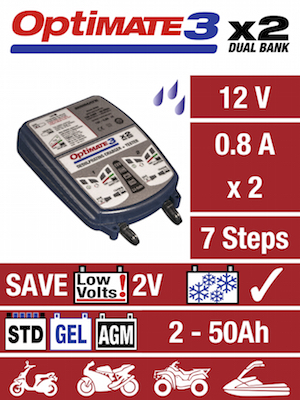 SKU: TM-430 Category: Battery Chargers Brands: Optimate. 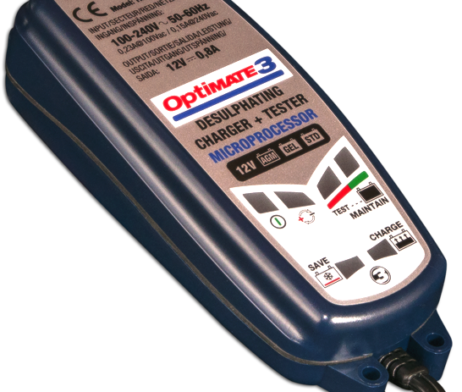 The new, most advanced OptiMate 3 (GLOBAL), replaces OptiMate 3+. 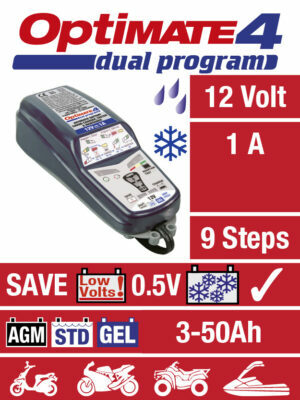 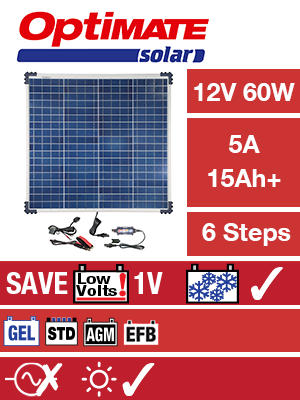 Suitable for all types of 12V lead-acid batteries of rated capacity from 3 to 50 Ah. 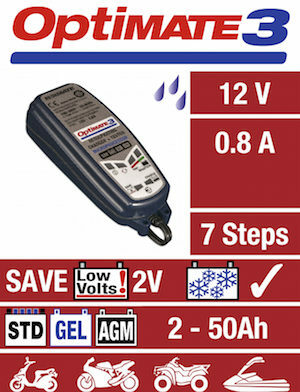 MAINTENANCE : Interactive float charge. Charging Amps = 0.8A (constant current), Global input (100-240V 50-60Hz), high efficiency (CEC listed), weatherproof, wall-mountable.